Get through your email faster. Learn more at http://www.gmail.com/priorityinbox. 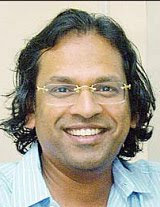 it's been heard that Mr.Dilip Kumar(Malayali based in Dubai), is the vice-chairman of Rendezvous Sports.Sources in Dubai reveal that the new ‘vice-chairman’ of the company is a man involved in the real estate business in the Gulf. A brief, interesting clip from National Geographic's "Ape Genius" documentary, demonstrating problem solving skills in chimpanzees, by using water as a flotation aid to retrieve a treat from a narrow tube. This experiment was conducted at the Max Planck Institute in Leipzig, Germany. A brief, interesting clip from National Geographic's "Ape Genius" documentary, demonstrating problem solving skills in chimpanzees, by observing actions taken by an unrelated tribe. This experiment was conducted at the University of Texas by Antoine Spiteri, et al. 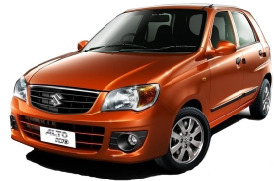 Maruti Suzuki India launched on Wednesday a new version of its best selling model Alto at an introductory price between Rs 303,000 and Rs 316,000, ex-showroom Delhi. The new version named, Alto-K10 is powered by a one litre engine from the company's latest generation K-series engines.